Fire Cafe opened in 2006 when owners Graham and Liz Jones refurbished the existing beach cafe. Their vision was to create a venue that would be a hub for locals and visitors to enjoy great food and drink in a friendly and welcoming environment. 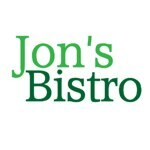 Jon's Bistro specialises in creating innovative but unpretentious dishes. The rustic locally inspired cuisine with a French twist is Jon's passion. All of the food is cooked and prepared in our own kitchen; the ingredients are either sourced locally or picked direct from the farm just a few hours before. Our 3 course meal is just £20. per head, bring your own wine, no corkage charge. Please contact us to check availability for any dates.